Business Champ is classic, beautiful and responsive multipurpose WordPress theme. Business Champ allows to make business, portfolio, travel and tour, news, beauty, corporate, yoga, blog, construction, education, fitness and many more websites. It provides you multiple features like it is responsive, Easy Customizable, SEO Friendly, Lightweight, speedy,one click demo and it also supports elementor page builder plugin so that user can use drag and drop feature. Business Champ theme provides you Customization Options which allows you edit any section of your website. 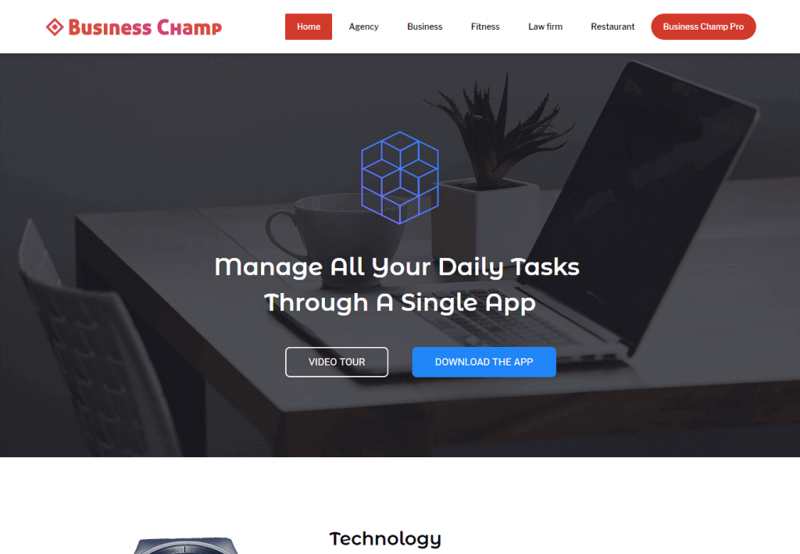 Business Champ is simple and responsive theme which looks amazing in all type of devices from desktop to mobile.